The Lumia 540 is one of the latest devices from Microsoft the PC software giant after they ended the Nokia branded line of phones and started the Microsoft Lumia line. The Lumia 540 is a dual SIM 3G handset that features a better display, improved camera and a bigger battery in comparison to it’s predecessor the Lumia 535. We had about a month with a review unit of this device and now bring you a comprehensive review going into the detail on the specifications, price, where to buy but most importantly our experience with the Lumia 540. Lot of pre-installed Apps not useful in Africa. The Microsoft Lumia comes in a white, thin and minimalist package with images of the Lumia 540 on the front and the back. In the box is the Lumia 540 with a 2200 mAh battery , a pair of earphones a charger and a phone manual to help you get started. Windows Phone 8 OS is without a doubt one of the most beautiful OS’s on the planet. From the days of Windows Phone 7.5 to Windows Phone 8.1, it has really come a long way since it began. Our first Windows Experience was with the LG E900 running Windows Phone 7.5 that had 1Ghz processor with 512MB of RAM and no USSD support. We then later experienced Windows Phone 8 when we reviewed the Nokia 820. Even though it was a huge leap from 7.5, we still had issues like lack of a system wide file manager, buggy Internet sharing, delayed bug fixes and updates. By the time we got to the Lumia 435, Windows phone had caught up. A lot had improved thanks to Windows Phone 8.1 update. The complaints we had were now centered around more app choices and a few other minor issues compared to before. What new since Windows Phone 7.5? So much has been improved. First was USSD support fixed in Windows 8 without which it was hard to load airtime or even use services like mobile money. Internet sharing is now possible and just works unlike back then when it was buggy. A notification center finally came to windows after a lot of complaints. Initially Windows had no file manager and that just sucked but it was fixed too. More functions and features like multi-tasking, app folders, gesture control (Tap to wake or sleep) were also added. One of the latest features is programmable Soft keys rather than the hard printed capacitive navigation keys. Now you can choose to keep them on the display or hide them if you don’t need them. navigating around settings used to be a pain b but with the new enhanced settings app, you can now easily navigate settings than before. Cortana Microsoft’s voice assistant competing with Google Now and Siri is also on board. OF course native productivity apps like Office, Outlook, OneNote and OneDrive among others have all been added. To spice it all up, with the promise of Windows Phone 10 coming to the Lumia 540 later this year, it can only get better. One of the biggest challenges with Windows Phone is that there may be no Windows versions of some of your favorite apps. For instance I missed apps like AirDroid, WordPress, Chrome, iMediashare, Pages Manager among others which I use almost daily. So if you have an Android or iOS orientation and are switching to Windows, there are apps you will certainly miss. This is not to say that there are no awesome Windows apps. There were lots of preinstalled apps we enjoyed and found very useful. Among them were; OneNote, the note taking app. It is one of my favorite and since there are Android and iOS versions, I will be taking this one with me. I also loved OneDrive that gave me 30GB free storage for my backup. All my photos, videos and documents had a safe and awesome home for free. We also loved the Apps like Evernote that help you plan and organize your day. Skype integration into Windows is so smooth that it became one of my favorite apps. There were so many native Windows apps and just so I don’t miss any, I will name them here. Office, Outlook, OneNote, OneDrive, Skype, Cortana, Internet Explorer, Store, Maps, Here DRIVE+, Here Maps, Storage Sense, News, Data sense, Lumia Apps (Creative studio, Camera, Selfie, Help+tips and Storyteller), Photobeamer, Podcasts, Battery Saver, Transfer my data, Mix Radio, Food and Drink, Health and Fitness, Games, Travel, Sports, Money, Wallet and Weather. Many of these are really awesome apps I wouldn’t live without but overall, I found these to be too many apps especially that I wasn’t using all of them and I couldn’t uninstall them. Many of them were also not relevant in Uganda. They also chewed on the device’s memory leaving me very little for my own consumption. Other apps like Gaana, Olacabs, Paytm, Star sports, Snapdeal seemed to be famous in India but not useful in Uganda fortunately, I could uninstall them. Apart from Microsoft apps, these are the other popular apps that you will love. The social trio – Whatsapp, Twitter and Facebook, Instagram, UC Browser, local apps Jumia, Kaymu and Hellofood. Games like Temple Run and Angry birds. Productivity apps like Adobe reader/PDF Reader and Evernote among others. I have loved Lumia phones for functional and ergonomic designs and the Lumia 540 doesn’t disappoint either. At only 152g/8.6mm the Lumia 540 is still light and slim with enough screen real estate for you to enjoy your device. Unfortunately, we can’t help feeling like it’s time for a design overhaul. 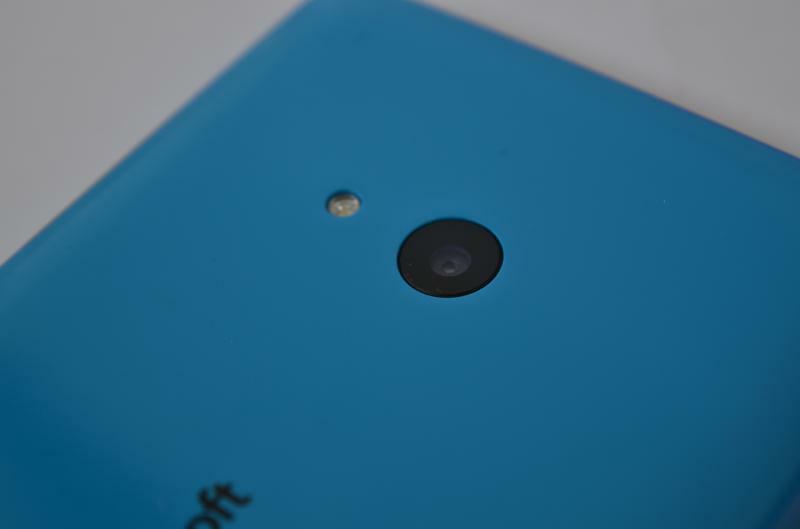 The Lumia 540 isn’t much different from the it’s predecessor the Lumia 535. With rounded corners, it has both the volume and power button on the right hand side of the device. The micro USB port is below with the 3.5mm earphone jack above. At the back is the speaker at the bottom center and the camera at the top center with an LED flash beside it. We totally love the glossy style-swap covers that are easy to change. Unfortunately they are fingerprint magnets but we are sure the ladies would love them as it would help them mix and match their wardrobes. 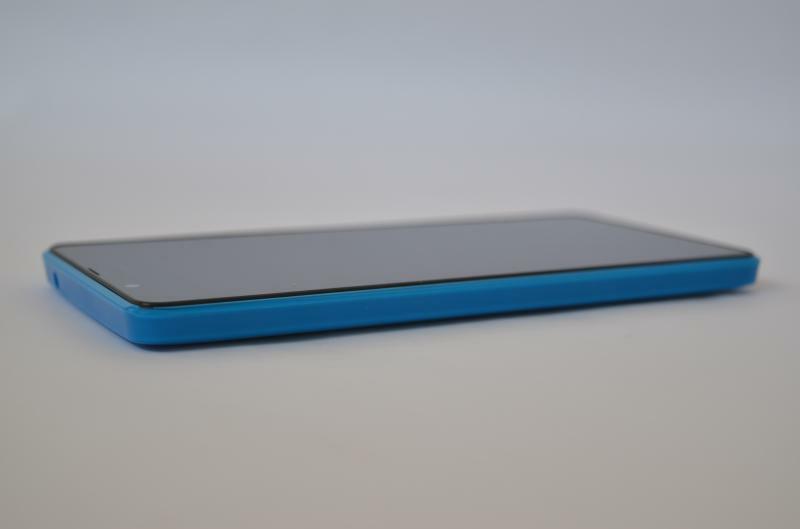 The Lumia 540 sports a 5 inch IPS LCD HD display which has a better resolution than it’s predecessor the Lumia 535. It also has Clear Black Technology that gives a very vivid display enhancing your viewing experience. The wide viewing angles and awesome outdoor visibility (Under sunlight) kept us enjoying the device in different environments. The unfortunate part is that they did add corning Gorilla glass protection like they did with the Lumia 535 making the display easy to scratch. 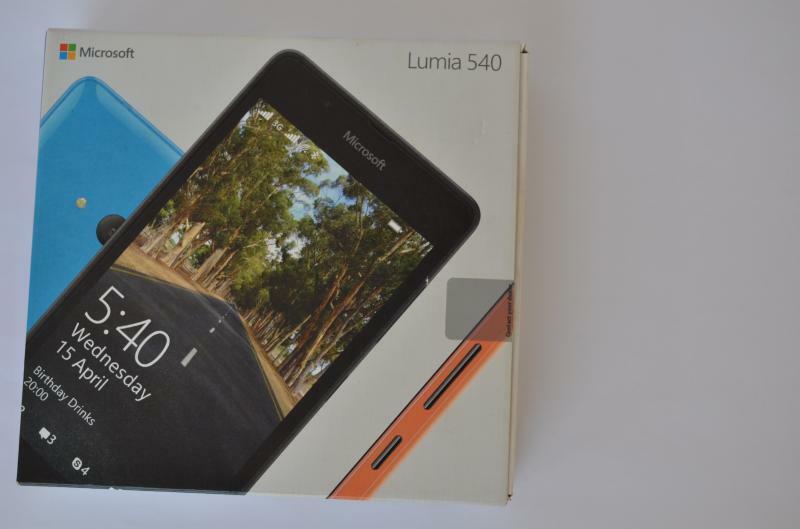 The Lumia 540 is a 1.2Ghz quad-core device with 1GB of RAM and 8GB ROM. The Qualcomm Snapdragon 200 chip set and the Adreno 302 GPU could have been better but they worked just fine. As a mid range Lumia device we expected an average performance but we got better. Throughout our time with the device, we didn’t observe any lag or sluggishness. Apps are quick to start , games were swift and fluid with no lag. We however had issues with Temple Run 1 that seemed not to have been optimized for the phone because Temple Run 2 worked just fine. We also browsed the web, pictures played music and Videos without any visible hitch. We experienced general good call quality and for the time we had the device, our overall experience can be considered a smooth one. For entertainment, the Lumia 540 has 3 things: A 5 inch HD display for your images, videos and movies, an FM radio, expandable memory (of up-to 128GB) plus games. I particularly enjoyed watching the Bigbang Theory and playing Temple Run. The Lumia camera is amazing in terms of capability but a little too complicated for the ordinary photography enthusiast who just wants to point shoot and get amazing images. The Lumia 540 that sports an 8MP camera with 1/4 inch sensor, f/2.2 aperture, 28mm focal length and an LED flash has near DSLR functionality allowing you control a lot of camera options. Microsoft got something right about their front camera. They call it the “Lumia Selfie”. This camera app utilizes the front camera and software to deliver awesome selfies by auto enhancing the image to give your selfies a boost. We are sure selfie lovers would find this amazing. Microsoft added the Lumia Creative Studio and storyteller to help edit and share your photos better. We played around and had a lot of fun editing photos using the creative studio. Another plus is that with the Lumia 540 comes 30GB of OneDrive storage to keep all your precious memories in the cloud. 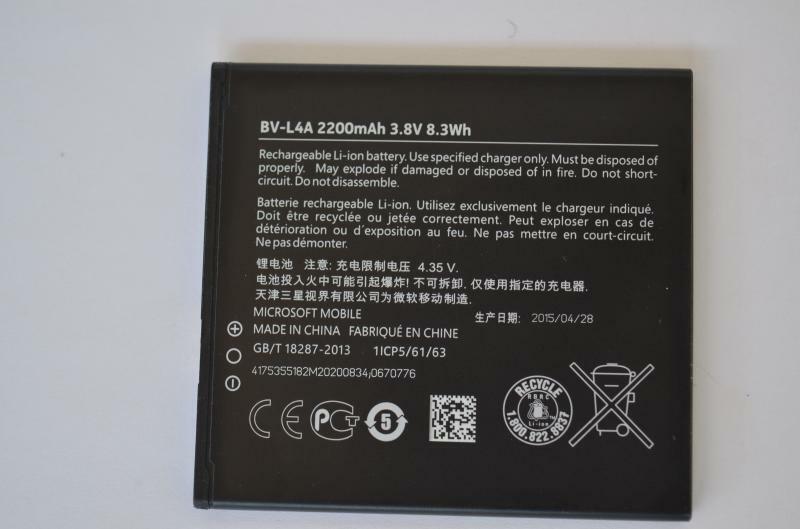 The Lumia 540 features a 2200 mAh battery. From our tests, the battery lasts about a day with basic use like making a few calls, checking email every now and then and may be a little bit of social media. (This is when Battery Conservation is turned on) With heavy use, the Lumia 540 battery only took us 8 hours. What we hated about the Lumia 540 is how long the battery took to fill up. We conducted several tests and it took 3 hours for the battery to get to 100%. 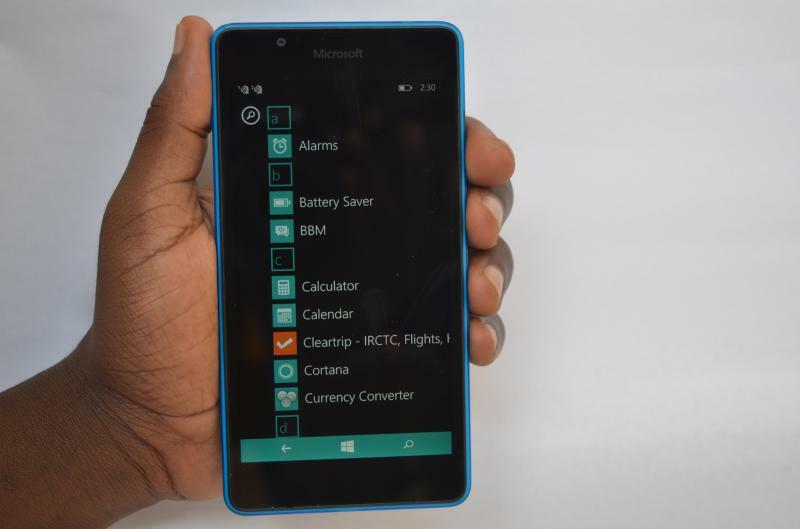 Microsoft added a native app called “Battery Saver” that can help you save battery. The app helps you monitor what apps are consuming your battery and also conserves battery by limiting certain functionality when the battery goes below a set percentage. With the app turned on, we were able to get a full day’s battery on multiple occasions. We are working on a separate post that will show you all the Lumia 540 tips and tricks you need to know so check back here for a link to that. The Lumia 540 is available in Uganda going for the price of Ugx 575,000 from multiple carriers like Airtel, MTN, Simba Telecom, Midcom among others. If you are looking for a good first smartphone, the Lumia 540 would be an awesome choice. If you have an Android or iOS orientation, you might face initial difficulty transitioning but with a little bit of time you would begin to discover the wonderful world of Windows. As one of the latest most affordable devices from Microsoft (in line for the Windows Phone 10 update), the Lumia 540’s good battery, decent camera and lovely display make it one of the best Lumia options available. The Lumia 540 will be competing with the likes of Tecno, iDroid, Huawei for the mid range device sweet spot. They all have their pros and cons but we will keep you updated on how they all fair. It would have been awesome if Microsoft had spiced up the device with 4G LTE but I guess that’s a discussion for another day.